The age of folding smartphones is coming. 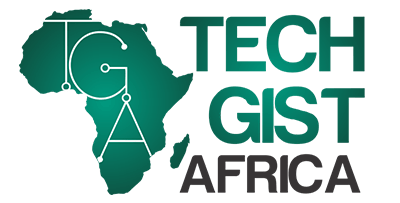 We know as patents for foldable phones are being filed in an ever-increasing number, with all the big players like Apple, Samsung, Huawei, LG, Motorola and more positioning themselves to come to market in the strongest and most innovative position possible. Smarter Living has rounded up the five most exciting pieces of mobile foldable hardware that we should expect in 2019. The Samsung Galaxy X, revealed in an official tease, and then reportedly receiving a release date in 2019, is one of the most exciting of the incoming foldable phones. According to reports out of Korea, the X is extra interesting as it supposedly has three screens instead of two, essentially delivering a device that transitions from a phone to tablet. 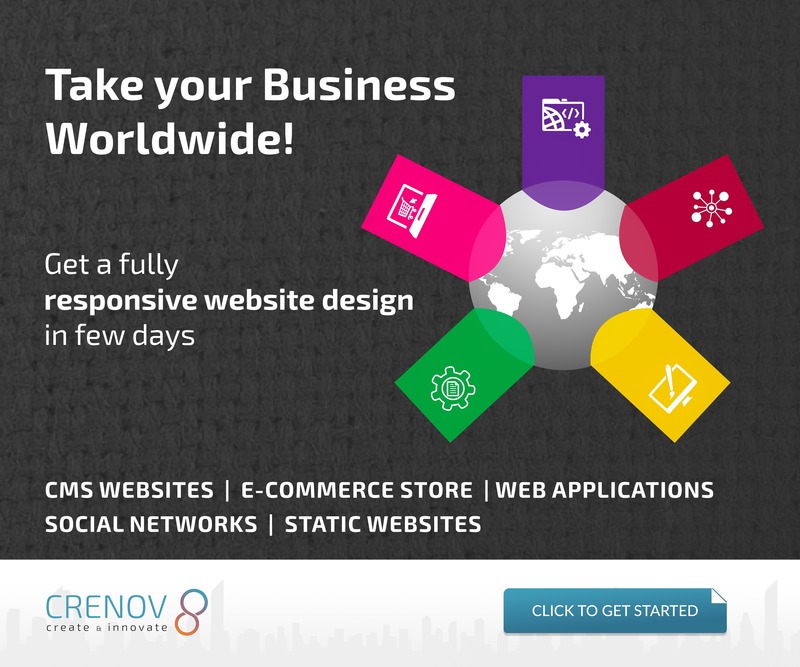 “With the new technology, particularly foldable screens, I think you will see more and more innovation on our smartphone design. 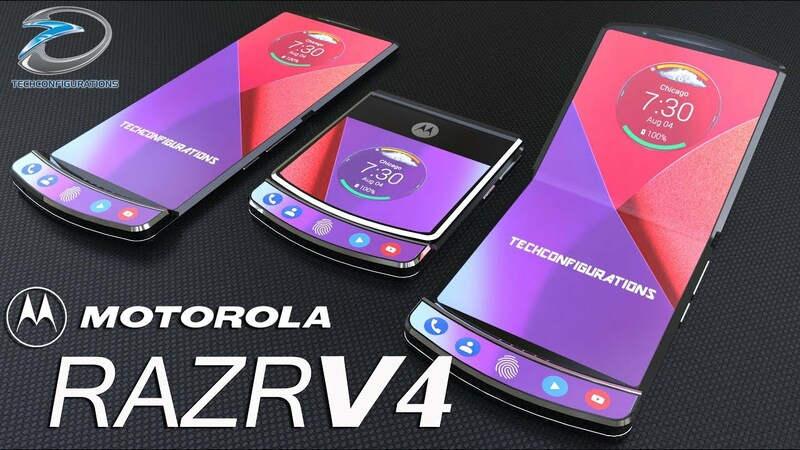 So hopefully what you just described [the Motorola Razr brand] will be developed or realised very soon”. What followed next was Motorola filed a patent for a two-screen folding phone, that when flipped out can also be used as a tablet. The patent details how the device has two cameras, top, bottom and middle hinges, and the ability to be propped up into a tent-like display mode. 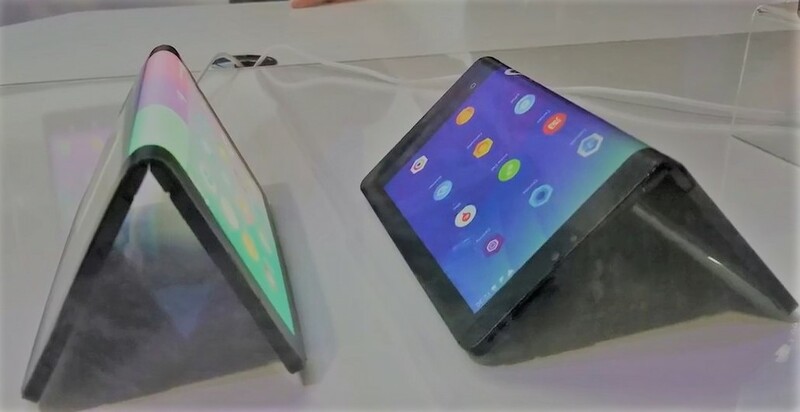 LG is currently a leader in rolling, foldable displays, with not only the company showing off working examples, but LG Display screens even apparently being utilised by other brand’s folding devices, too such as the Huawei folding phone. This makes it unsurprising that in January this year LG filed a patent that shows off a “mobile phone with a flexible display which can be folded in half”, before detailing two different potential designs. The first model depicted is a folding phone that features a camera system embedded in the backplate, with information like the time displayed on its front when folded in, while the second shows a device with a transparent section on the right-hand side of the front that could be used to display notifications and time, too. 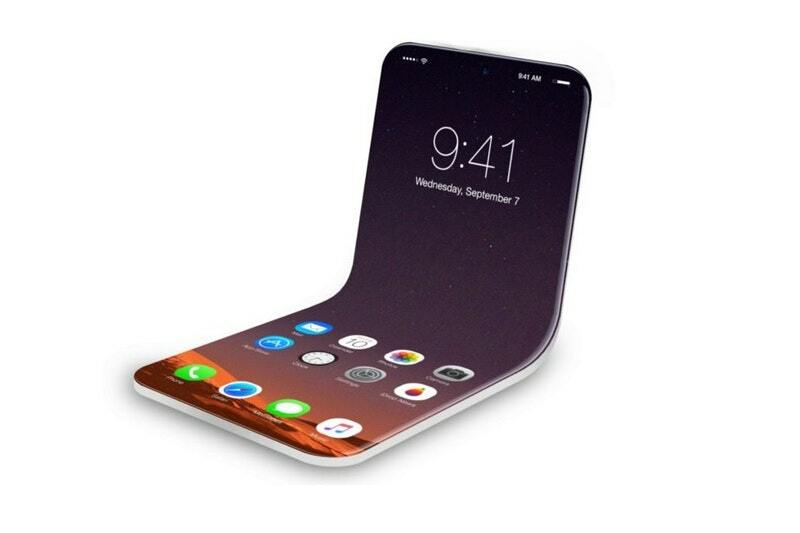 Arguably the biggest player alongside Samsung that appears to be working on a foldable device is Apple, and the really exciting thing is that the hardware may very well be close to realisation. That’s because in November last year an Apple Inc-filed patent emerged for “Electronic Devices with Flexible Displays”, which specifically details an electronic device comprising “a flexible display in the housing having a bending region that bends about a bend axis”. 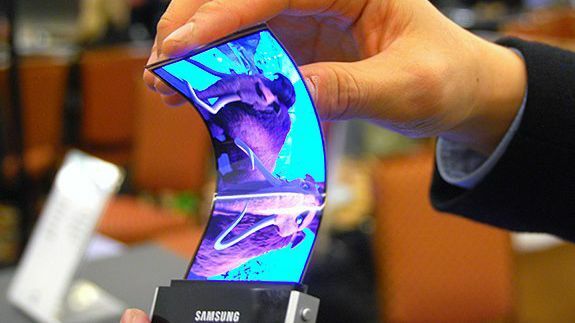 The device also states that the flexible display technology could be utilised in “a cellular telephone”. Unlike other patents there are no images of the flexible display or the devices it could be being utilised on. However, with Apple’s strong track record of innovation, we wouldn’t be at all surprised if the Cupertino maker drops an folding iPhone-iPad tablet out of the blue. Last, but not the least is the folding phone that Huawei is working on. Last October, CEO of Huawei, Richard Yu, confirmed that the Chinese maker already had a working prototype of a flexible smartphone, and then in March of this year patent diagrams of a foldable Huawei phone emerged. The patent refers to the device simply as “foldable smartphone”, but clearly shows a book-like phone that can be opened up to create a larger tablet, with a smart Surface Book 2-style hinge connecting each of the folder’s two screens. The idea of carrying around both a high-powered phone and tablet in one, though, is tantalising, and we hope that Samsung, Apple, Motorola, LG, or Huawei can deliver.